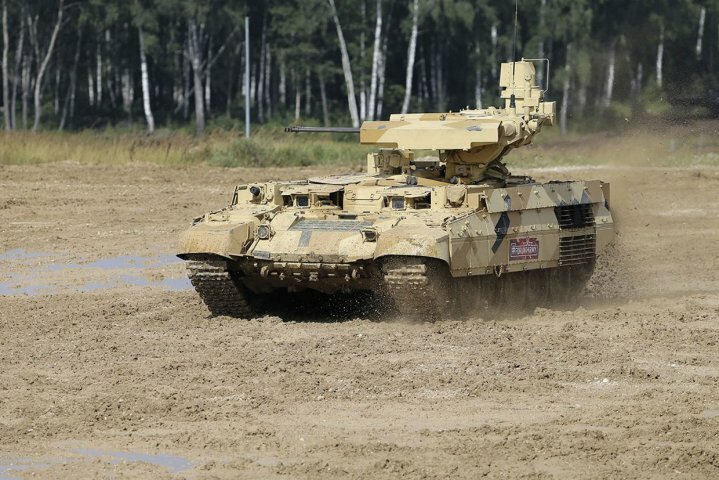 Russia announced contracts during the Army-2017 show that indicate its next generation of armoured platforms remains many years from entering service. The Ministry of Defence announced that it had awarded contracts to Uralvagonzavod (UVZ) covering the first deliveries of an unspecified number of new T-90M main battle tanks, BMPT Terminator fire-support vehicles, and BMP-3 infantry fighting vehicles (IFVs) fitted with the Epoch turret. 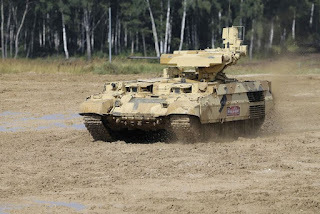 The Russian Ground Forces will not require new versions of any of these types once the next-generation T-14 Armata MBT, associated T-15 Armata heavy IFV, and the Kurganets-25 IFV go into production. Has India Called China's Bluff Over Doklam? Is The U.S. Navy Being Hacked?